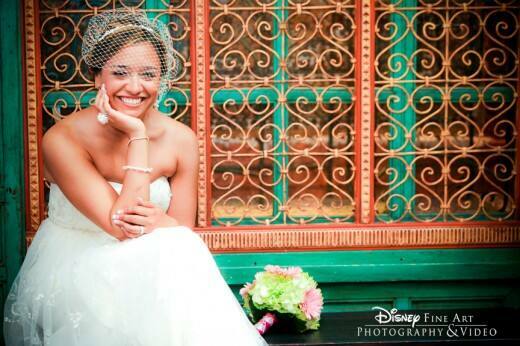 A recent trend we're seeing with many of our Disney Brides is birdcage veils. For brides looking for something other than a traditional long veil, this netted veil can be added to hairpins, feathers and even small hats. Birdcage veils have a vintage feel, and more and more brides are choosing to channel this classic trend. The intricate netting adds class and sophistication to any bridal gown, and with so many different adornment options you can make it truly your own! Are you opting to wear a birdcage veil on your big day? Images courtesy of Disney Fine Art Photography & Video.